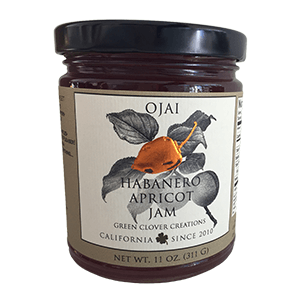 Ripe California apricots blended with Habanero peppers. Decadent on cheesecake! Jam-packed with flavor. 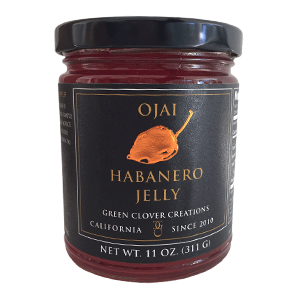 Savory, yet sweet and surprisingly flavorful. Not too hot. 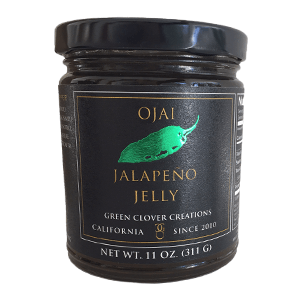 The perfect addition to cream cheese and crackers. My favorite! I’ve experimented for years to find the perfect ratio of heat & sweet. Fantastic flavor with a little after-burner. Try all 3 flavors. 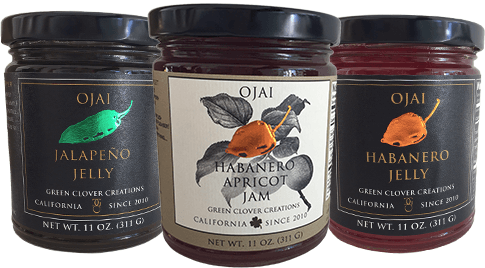 Includes an Ojai Jalapeño Jelly, Ojai Habanero Jelly, and Ojai Habanero Apricot Jam. Makes a great gift! I test my products on friends and family, NOT ANIMALS!Wholesale prices available for retailers ONLY. Log in here.